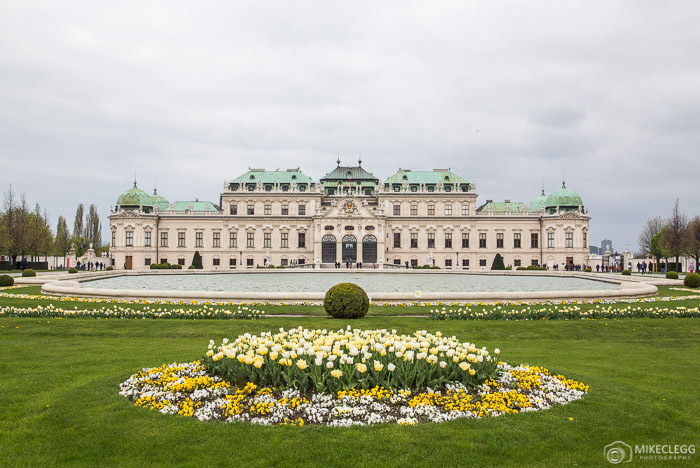 Want to know some of the best spots in Vienna for photography and Instagram? 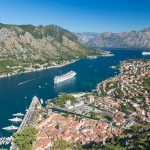 In this post I will tell you my top spots where you’ll be able to capture perfect pictures to share with your friends and followers. You’ll also find photography tips and recommendations for some of the spots. 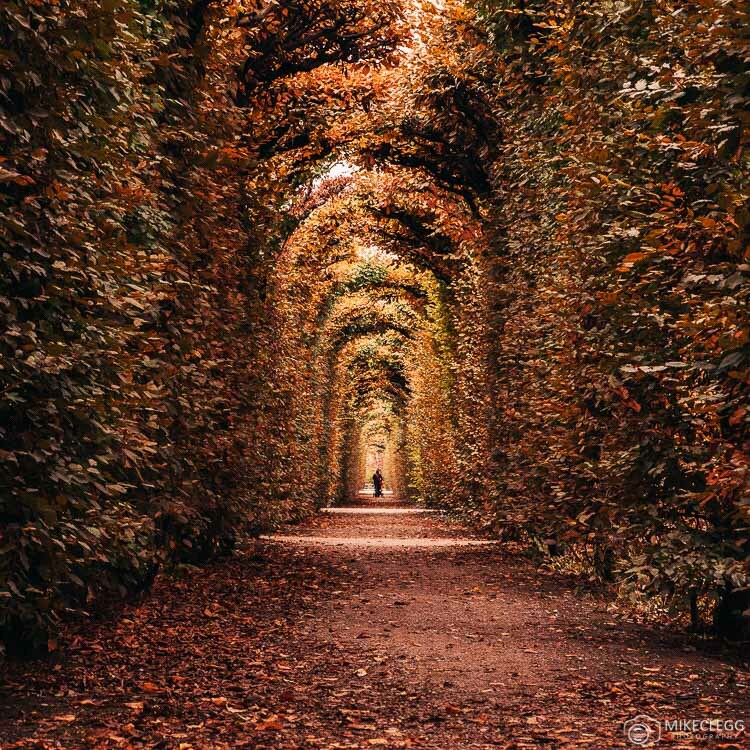 Some of the suggestions may be a popular location, for example the Schönbrunn, but there are some hidden spots which make for really good Instagram photos and often get really good engagement. 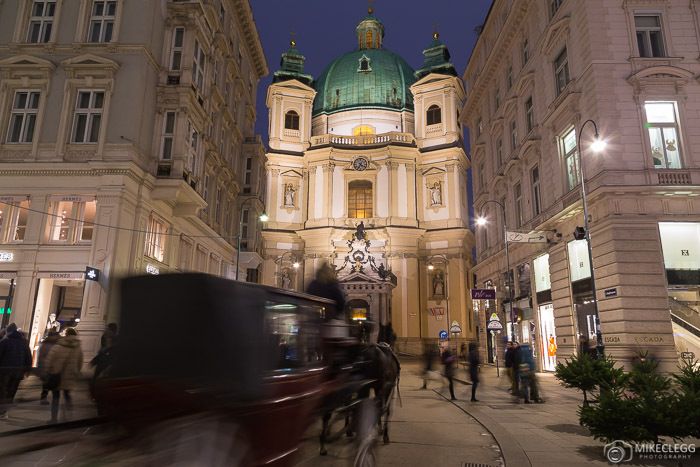 For Christmas photography spots head to: Christmas in Vienna: The Best Places to See and Photograph the Lights. 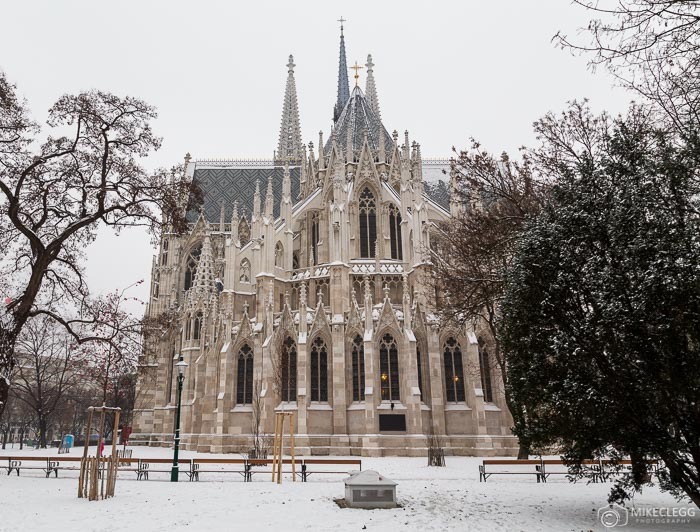 Here are the best and must visit Instagram and photography locations in Vienna. 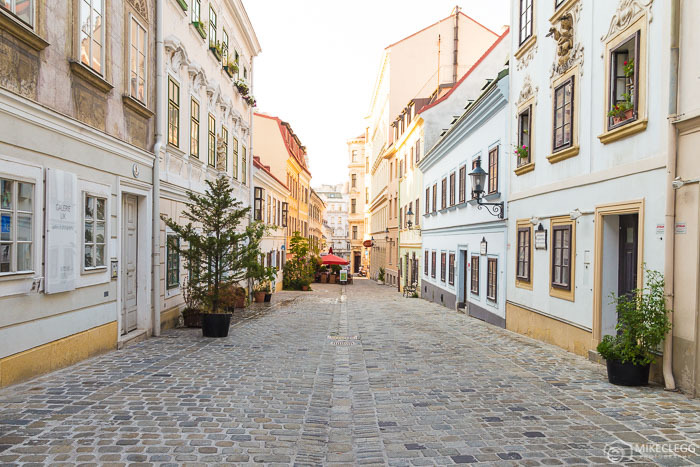 This is one of my favourite streets in the city with fantastic baroque architecture and cobbled streets. This street is beautiful to photograph and you’ll also find great restaurants around here too, such as Ulrich which is amazing. The view from the Stephansdom Towers is a must for photography and Instagram. Up there you’ll get far reaching views, especially from the South Tower. 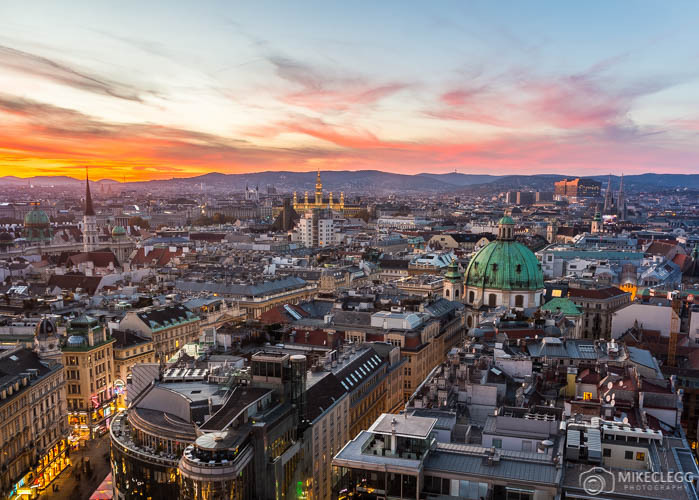 This is one of the best spots for taking pictures of the Vienna skyline. Tip: If you go during the winter months when the sun goes down early, you can get up there for sunset before it closes. 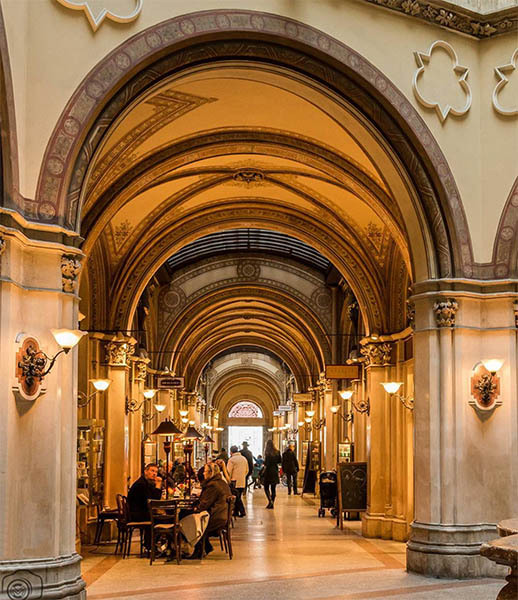 This beautiful passage within the Innere Stadt is very Vienna with a magnificent and elegant design. There are also nice cafes if you fancied a delicious Melange (Viennese coffee). 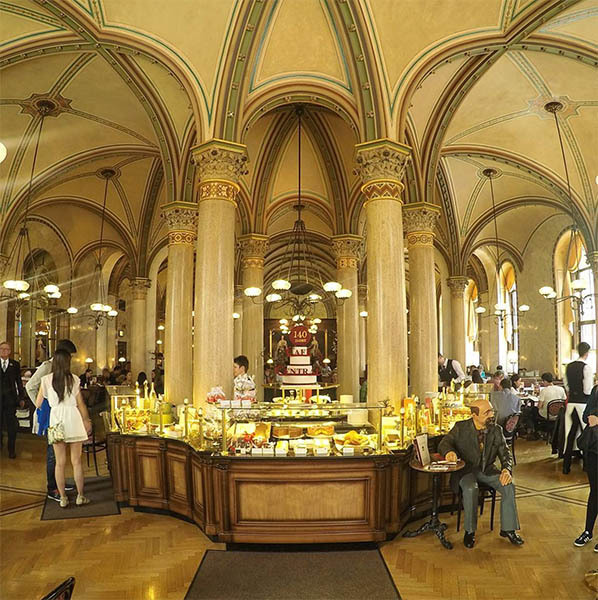 One of Vienna’s most beautiful coffeehouses is Café Central. As you go in you’ll instantly be greeted by stunning pillars reaching from floor to ceiling. Tip: When taking photographs make sure you use a very wide angle lens otherwise you won’t get as much in the picture. 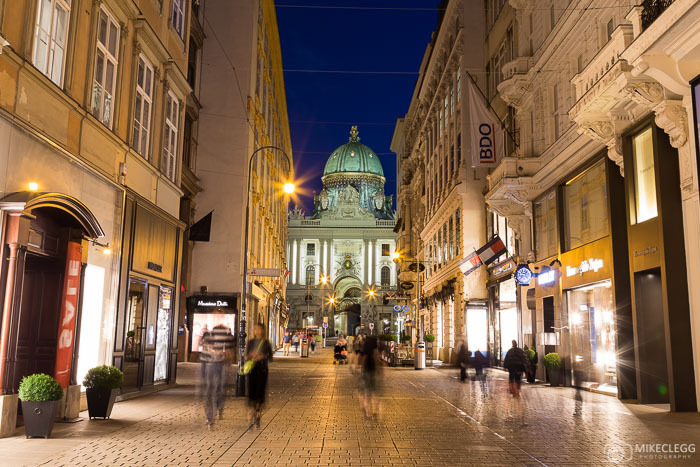 The Graben is one of the most beautiful streets in the city (especially at Christmas). Tip: Along this street, you’ll find the Column of Pest(Column of The Trinity) which was built to commemorate plague victims. 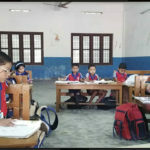 Using this column can help when composing your photograph. 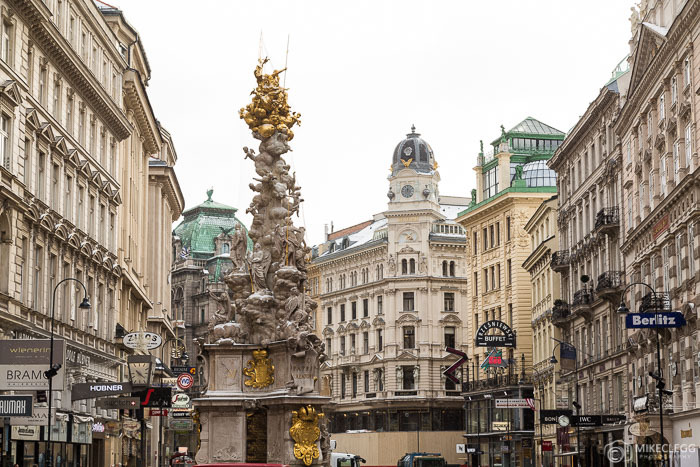 Another fantastic street is the Kohlmarkt which leads from the Graben towards the Hofburg Palace. Towards the end closest to the Hofburg is another nice coffeehouse called Demel. This is similar to Cafe Central with a wonderful Viennese design (although it looks very different). You can also pop into the shop on the ground floor. 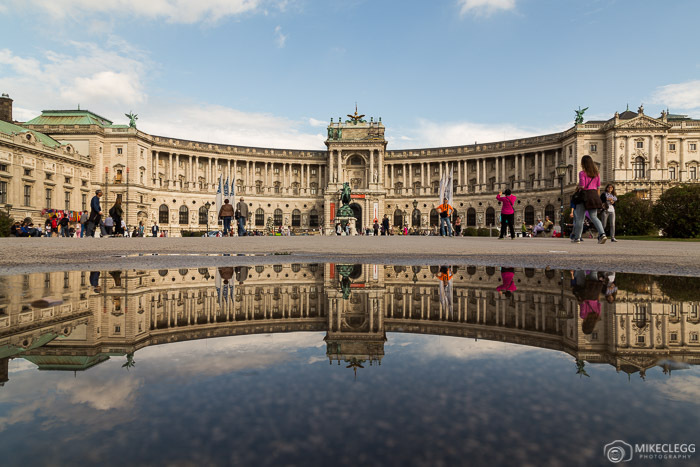 Tip: Try taking photographs leading down towards the Hofburg. This street is also particularly nice at Christmas. 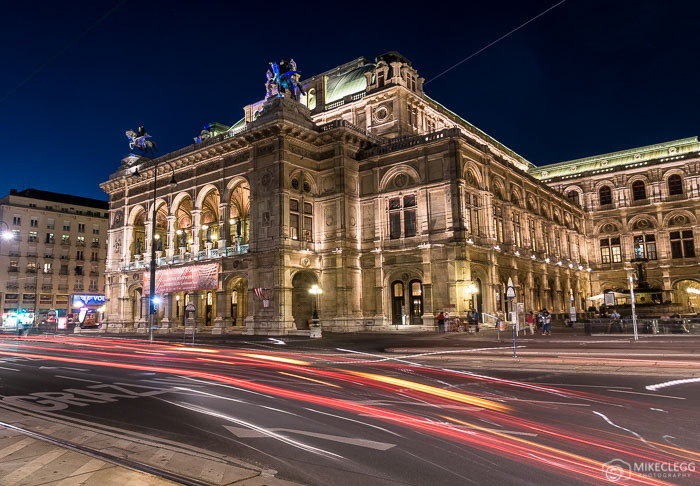 The Vienna State Opera is very impressive, even more so at night when it’s lit up. 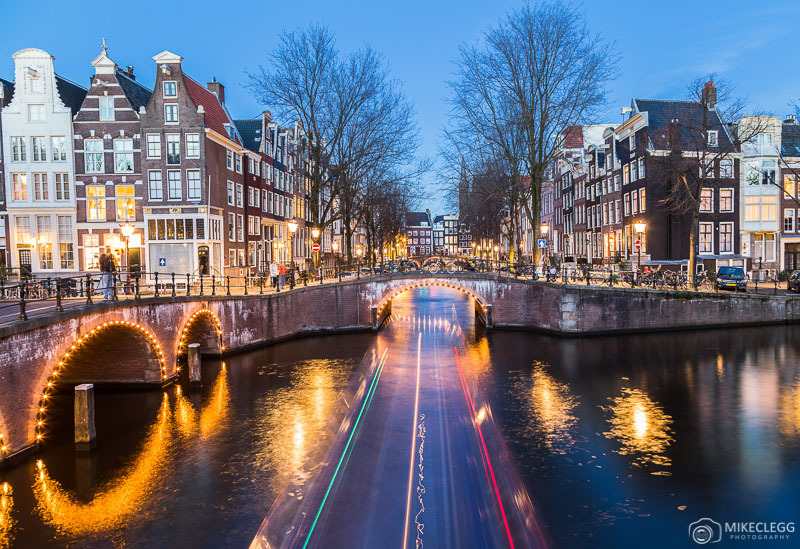 Tip: When taking photographs at night, use a tripod and a long exposure to capture light trails going past. This adds an extra element to the picture. Another good spot is near the entrance to the Albertina museum which is located on the other side. 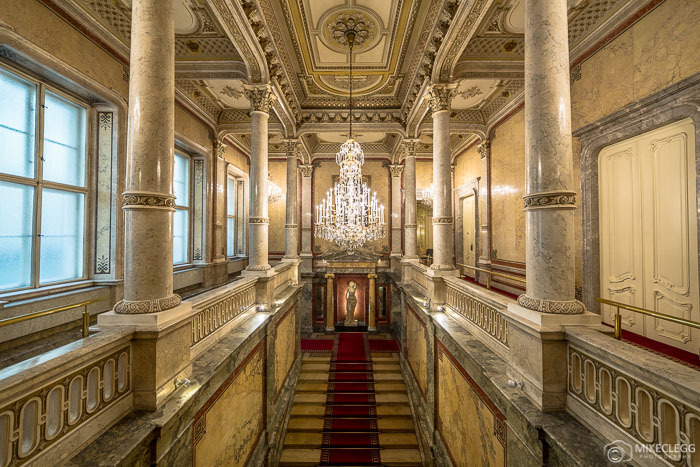 The Staatsoper offers tours of the inside which provides the perfect opportunity for some interior shots. 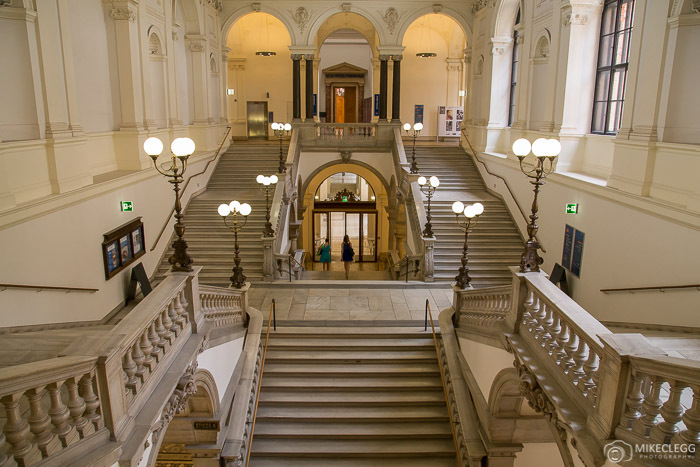 One of the famous photography spots is on the main staircase as you go in the front entrance. 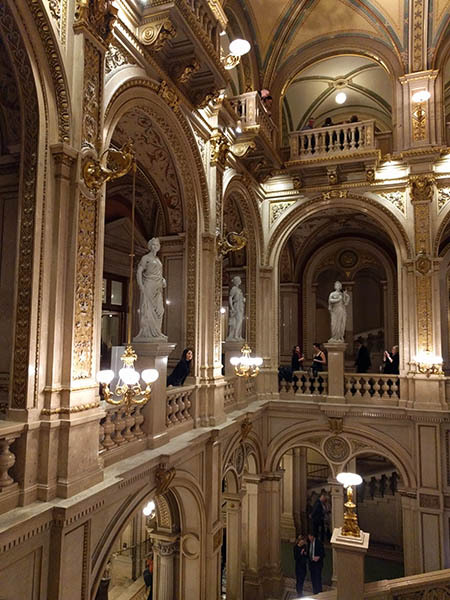 Tip: If you fancy watching some opera you could avoid a tour and also get some pics of the staircase whilst waiting for the production to start. When I first saw Rathaus I was seriously impressed. Taking pictures of it isn’t really the easiest as there is almost always an event or something going on in front of it. So when taking photographs you will have to just see what’s going on during your visit and if there is, then try and use it to your advantage. The Rathaus is also particularly nice at night when it’s lit. This library definitely isn’t the easiest for Instagram as it’s so wide. At night it gets lit up and also looks nice. Tip: If you happen to be in the city just after the rain, then you might find puddles such as below where you may capture perfect reflections. This makes it a lot easier to take a picture that is square or portrait (landscape crops aren’t that great for Instagram). You could also try using a wide angle lens and then take pictures closer to the building. The interior of the Palace of Justice is almost a hidden gem. The main attraction in this building is the floor and architecture in the main hall towards the entrance. Head up the stairs and then go towards the back for a high perspective. Another good spot is to head up the elevator to the top floor and visit the Justizcafe which has an outside patio overlooking the city. 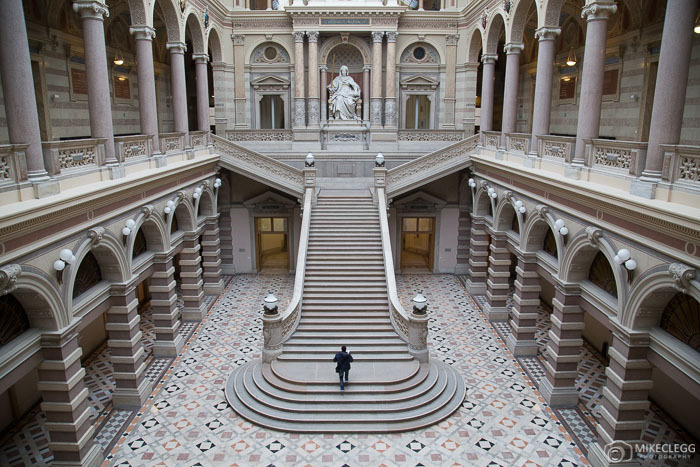 At the University of Vienna there are a few magnificent staircases and corridors which make for great photographs. To find the staircases after you’ve walked through the main entrance and past reception, take the corridors either right or left. 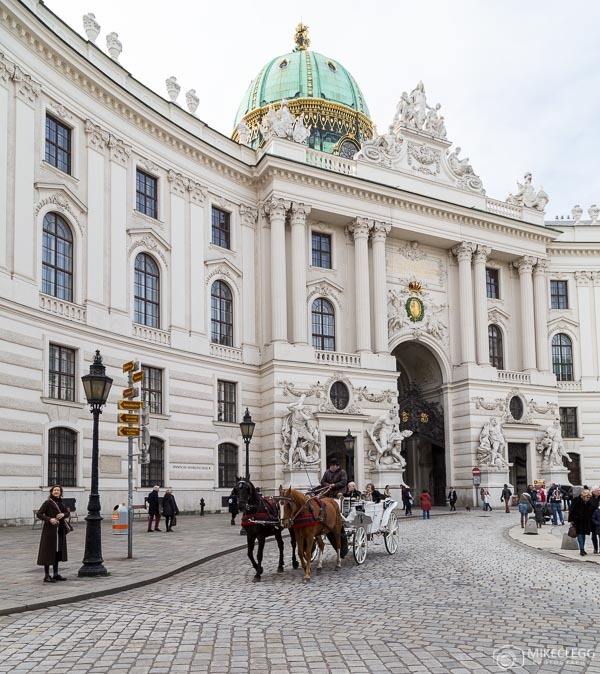 Although not a public building if you decide to stay at the Hotel Imperial Vienna you can get some shots of the stunning interior which is a Viennese style at it’s best. Even if you don’t stay here, you could pop into the cafe, restaurant or bar. This church makes for exceptional photography and often at night you’ll find other photographers with their tripods out. Tip: During the warmer months, most likely from late spring to early autumn there is water in front (this gets emptied in the winter). This water often provides mirror like reflections as seen below. The front of the Votive Church isn’t that impressive and often has ugly advertisements hanging on it. So instead head to the back of the church where you’ll find more impressive and highly detailed architecture. This church blew me away when I first saw it, as I was not expecting such a beautiful design. Tip: Try taking your pictures vertically (portrait) to capture as much as possible of the ceiling down to the floor. This will make it better for posting on Instagram. You could try using a wide angle lens if you have one. 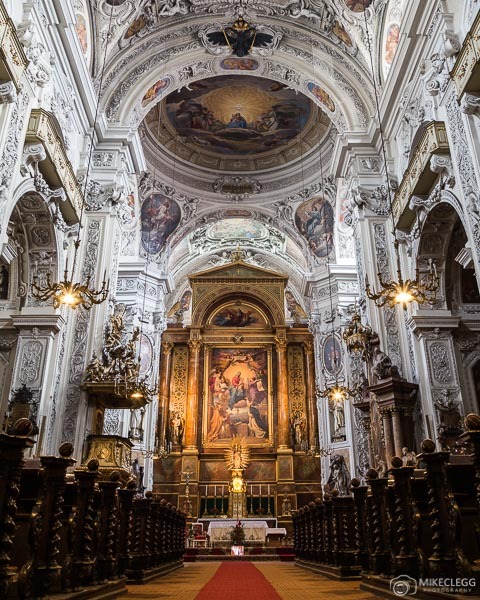 Around the corner from Jesuitenkirche is another stunning church, Dominikanerkirche, which is also worth visiting, especially as these churches are so close to each other. MuseumsQuartier is a cool place to go and hang out in the city (more so in the spring and summer). Tip: Good viewpoints at this location include going up the steps at either side for some higher perspectives. I’d say MuseumsQuartier makes for better photography at night. Within this museum is an awesome foyer as you walk in with incredible architecture, and also a beautiful cafe towards the top. When I was here they were preparing for an evening event so I didn’t manage to get a photo. Head to www.khm.at/en/explore/offers/cafe-restaurant where you’ll see a picture. At the Belvedere the pond in front is probably the best spot. On a calm non-windy day you may get reflections in the water. During the spring there’ll be lots of beautiful flowers all around, and in the winter you’ll have Christmas decorations. Does this look like a typical Schönbrunn picture? Probably not! At the Schönbrunn the classic spots are of the gardens and flowers, and from the top of the hill near the Gloriette. But towards the right-hand side of the gardens are some awesome tunnels such as this. I found this picture does very well on Instagram. To get to this exact spot visit my marker on Google Maps. 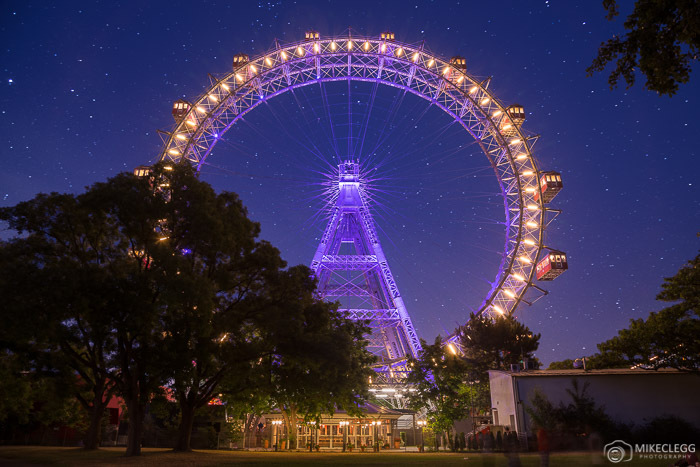 The Wiener Riesenrad is one of the oldest and largest Ferris wheels. It was built in 1845 and still comes with wooden cabins. I prefer photographing this at night but it also looks good in the day. 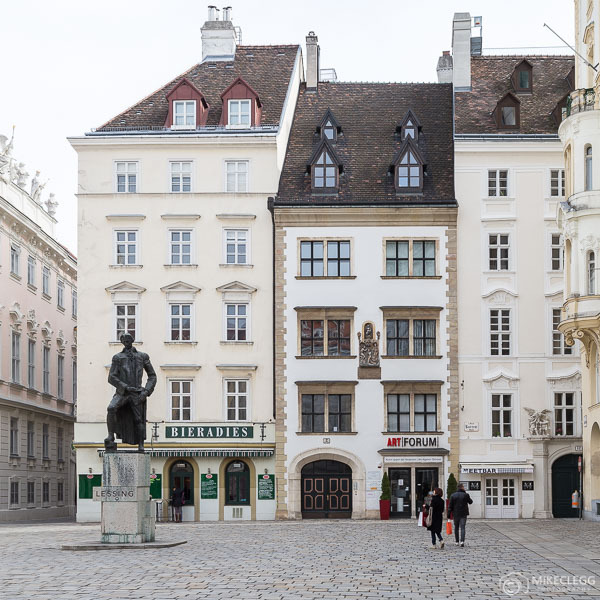 Some other nice streets and squares around the inner city include Minoritenplatz, Judenplatz and Kurentgasse. 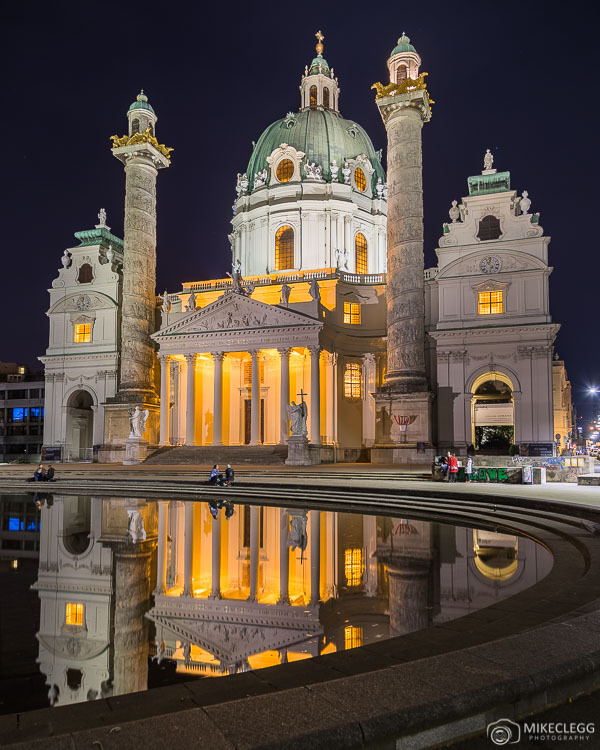 I think if you are after Viennese street scenes you won’t have trouble finding them by wandering around the inner city. 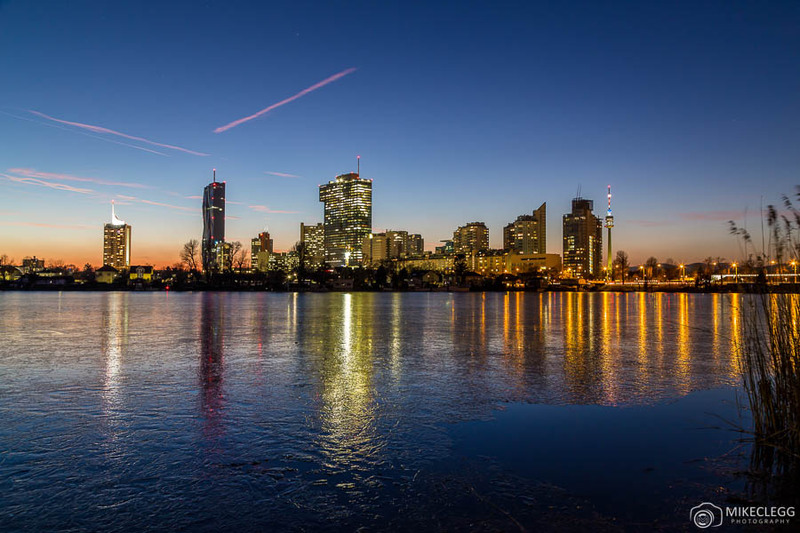 Although not my favourite spot for photography, around the Alte Donau you can get different perspectives of Vienna showing modern skyscrapers. At night or on a calm day you’ll also get reflections in the water. In the winter this lake often freezes and can have snow on it, if that’s something you’d like. 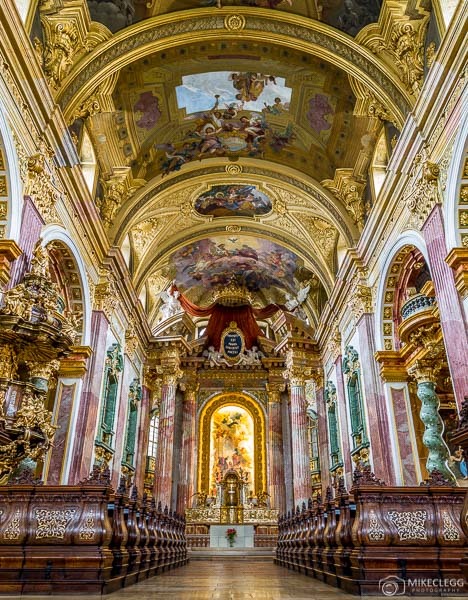 This church along the Graben is particularly impressive and makes for beautiful photographs. You can also go inside too. Tip: When taking pictures try using a slower shutter speed to capture the movement of Fiakers going past. 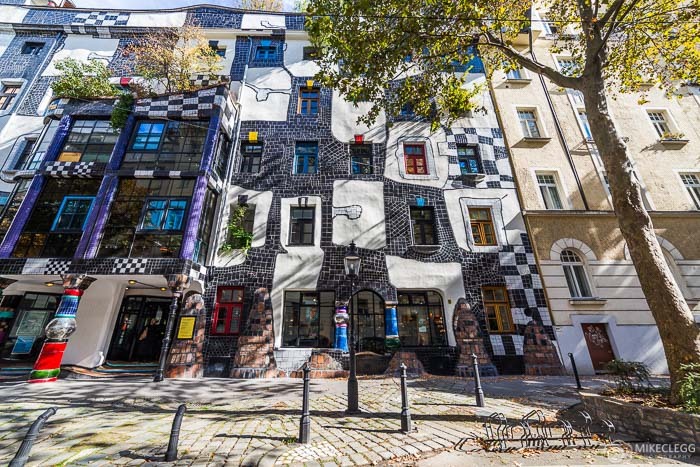 The Kunst Haus Wien is a museum based on Hundertwasser’s work. The exterior is pretty unusual with a fantastic pattern and design as you can see below. 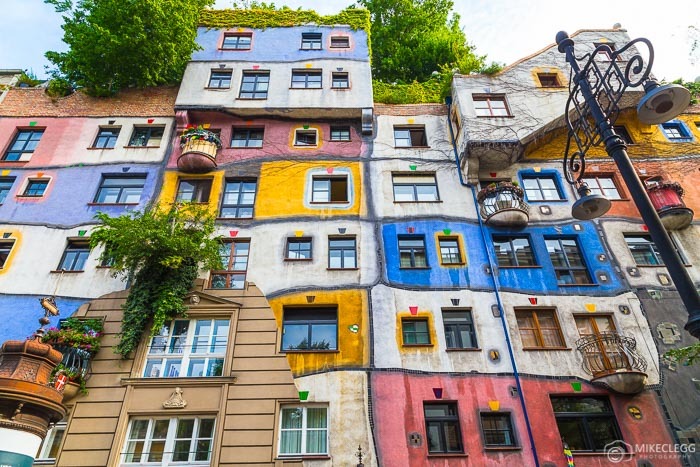 One of my favourite exteriors (potentially that I’ve ever seen) is Hundertwasserhaus. If there is one place you absolutely have to photograph when in Vienna then this is it. You’ll probably find your followers on Instagram will love pictures of this building as it’s so different. Tip: When editing photographs, try adding exposure compensation or exposing for the darks or mid tones, then when editing add some saturation to make the colours pop a bit. Photographs of the Fiakers (horse and carriage) normally do quite well on Instagram. You’ll find these all around Vienna’s inner city (Innere Stadt). Tip: Try being patient when taking these pictures. Once you’ve identified a good spot where you know the Fiakers go past, such as on Michaelerplatz, be patient and wait. It’ll totally be worth it. 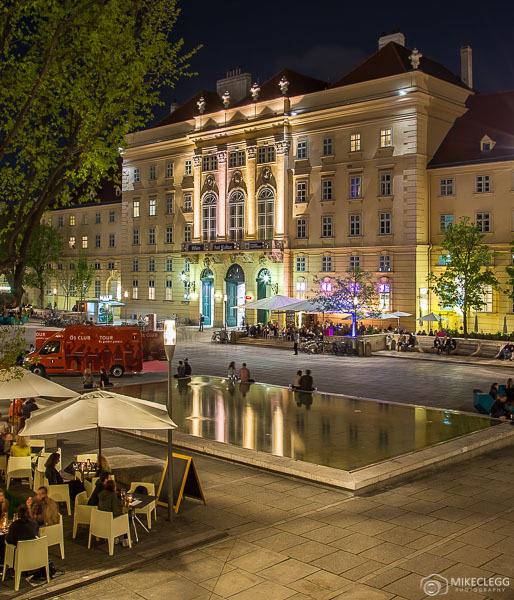 Need a hotel in Vienna? 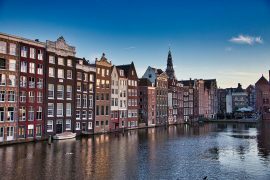 Recommended mid-range hotel: 25 Hours Hotel – A fun hotel with a great rooftop bar and a short walk from major attractions. Recommended luxury hotel: Hotel Imperial – A Luxury Collection Hotel – One of the most beautiful luxury hotels in the city with opulent designs making you feel like you’re in a palace. 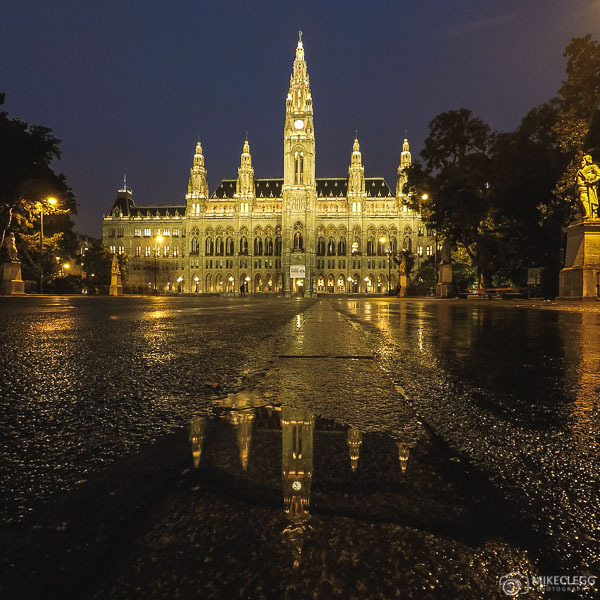 Hey Buddy!, I found this information for you: "Over 25 Top Instagram and Photography Spots in Vienna". 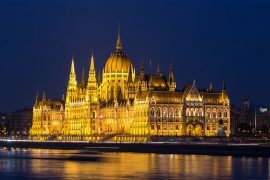 Here is the website link: https://www.travelanddestinations.com/best-instagram-and-photography-spots-in-vienna/. Thank you.